Rastriya Sanskrit Sansthan is an Inter disciplinary University, In which teaching and preaching of ancient and modern language and literature . 10. Diploma Ayurveda & Yoga Course (2016). The University runs research Programme for the degree of Vidyavaridhi (Ph.D). In recent years 2009-2011 Prakrit education programmed has also begun for the knowledge of ancient language of our country. Correspondence courses are also conducted in the Sansthan from Shastri to Acharya classes. 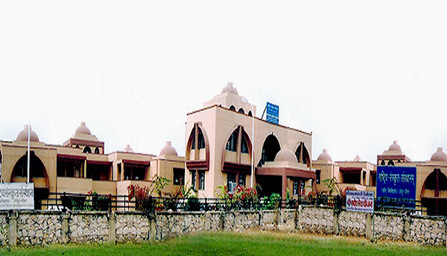 The facilities of computer education is also available for all the Courses and all round progress of the students, Sansthan has also a playground, badminton court and other facilitates There is sufficient space for parking of different vehicles, A guard room is just near the main gate to maintain security of the campus.